The ASX-listed department store giant reported a 1.4 per cent drop in sales to $3.2 billion in the year to 29 July 2017, a decrease of 0.2 per cent on a comparable store basis. A significant contributor to this was its Q4 sales result, down 1.5 per cent year-on-year. Notably, FY2017 NPAT was 2.2 per cent down from last year’s $69.4 million to $67.9 million, pre-implementation costs. Net profit came in at just $11.9 million after implementation costs were deducted, a drop of 80 per cent. In a statement, Myer CEO, Richard Umbers, said the group was disappointed not to have reached its target of exceeding last year’s NPAT results, and acknowledged progress against key metrics was slower than anticipated. A bright spark was Myer’s omni-channel business and its online store, which reported a 41.1 per cent increase in sales over the past 12 months. Umbers said omni-channel sales, including those made across 2500 iPads in-store, reached $177 million over the 2017 financial year, and represented 8.2 per cent of total sales in July. In addition, click and collect had grown substantially and represented 15 per cent of orders in July. Other strategic activities pointed to by Umbers on the customer front included the introduction of several high-profile brands, such as Forever New, Quicksilver, Roxy, Jak + Jones Premium and Darren Palmer Home, along with Myer’s support and experiential work around the Katy Perry Tour and Sydney ice skating rink. The retailer has also launched personal shopping suites at seven stores, upgraded fitting rooms at eight stores, and rebalanced labour hours in favour of customer-facing roles. Moving forward, Umbers said the New Myer agenda in FY18 was about prioritising investments in omni-channel sales, as well as finding greater productivity and efficiency improvements across all assets. Over the past 12 months, Myer has closed three stores and today, it confirmed plans to close three more. “We have made significant progress to deliver New Myer, which has assisted the company to withstand the challenging retail trading conditions characterised by heightened competition, subdued consumer sentiment and discount fatigue,” Umbers commented. Myer is nearly two years into its ‘New Myer’ strategy, a $600 million transformation plan aimed at turning the business around through customer-led offers, wonderful experience, omni-channel shopping and a productivity step change. 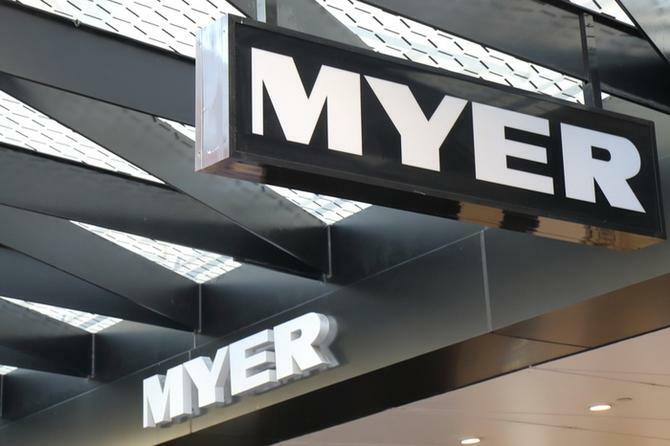 In July, Myer confirmed one of the key executives behind its plans, deputy CEO, chief merchandise and customer officer, Daniel Bracken, was leaving amid ongoing tough retail trading conditions. Prior to his departure, Bracken worked to secure a range of high-quality global brands for stores including John Lewis, Jak + Jones Premium, Radley, Oroton and Saba. Since the launch of ‘New Myer’ in September 2015, he also oversaw more than 700 new or upgraded brand installations.